The latest edition of my work Palimpsest will be part the exhibition “Trees of Life – Knowledge in Material” at the NTU Centre for Contemporary Art Singapore. 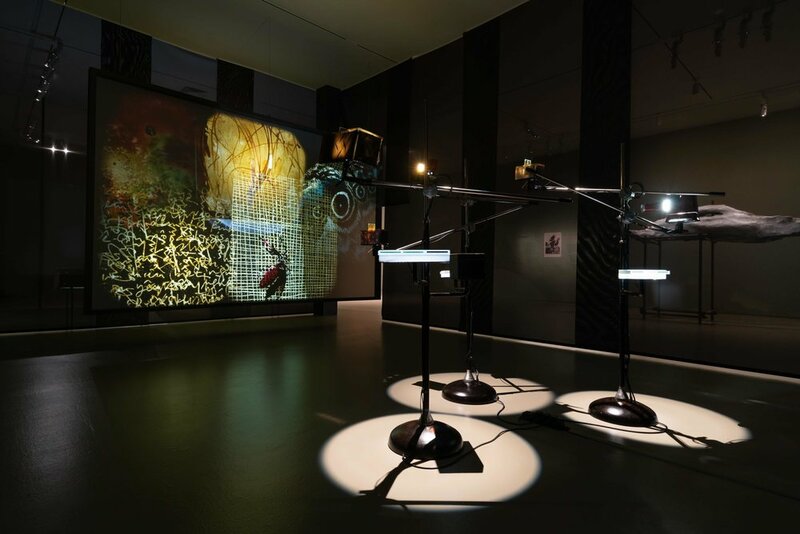 NTU Centre for Contemporary Art Singapore is embarking on an inquiry into natural materials, exploring the knowledge they embody as biological forms as well as within social, geopolitical, and historical contexts. Trees of Life – Knowledge in Material is part of the Centre’s long-term research cluster CLIMATES. HABITATS. ENVIRONMENTS. This exhibition focuses on materials from four plants deeply rooted in Asia: indigo (Indigofera tinctoria), lacquer (Rhus succedanea and Melanorrhoea usitata), rattan (Calamoideae), and mulberry(Morus). The works trace the ongoing involvement with these plants in the artistic practices of Manish Nai (India) with indigo, Phi Phi Oanh (United States/Vietnam) with lacquer, Sopheap Pich(Cambodia) with rattan, and Liang Shaoji (China) and Vivian Xu (China) with mulberry silk.